Our Elk Drive location offers brand new, climate controlled units in sizes 5×5, 5×10,10×10, 10×15, 10×20, 10×25, and 10×30. Safe and clean climate-controlled storage location off Elk Drive in Burleson, TX. 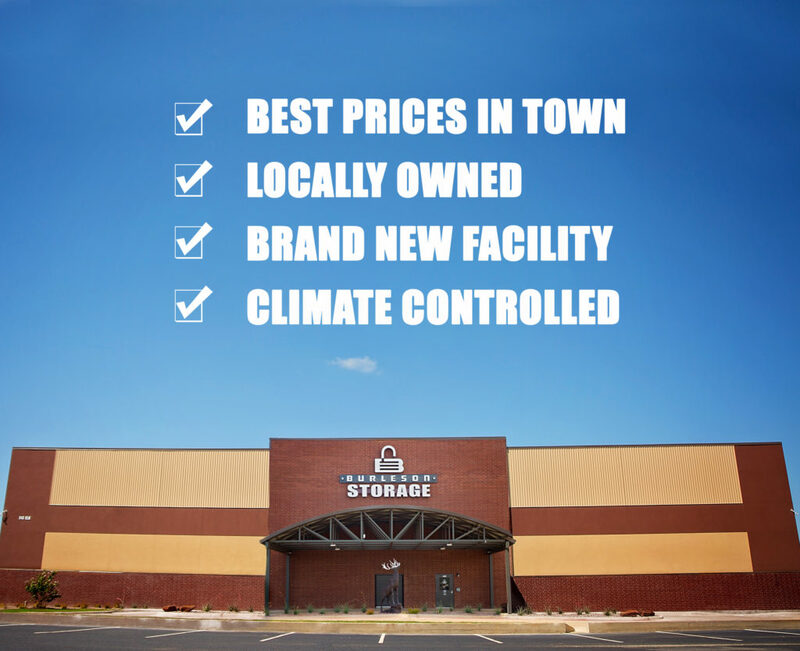 Come tour Burleson’s premier self-storage facility today.